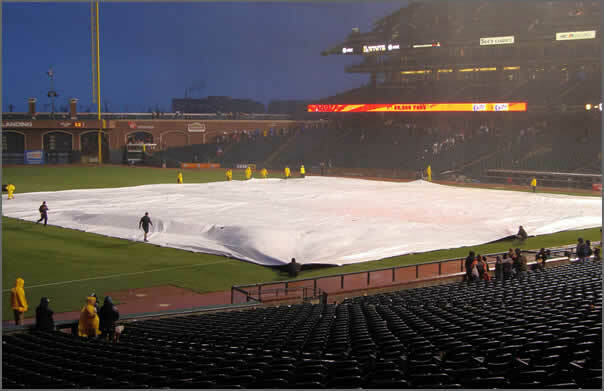 Custom Baseball Field Tarpaulins, Mound, Batter Circle Covers. 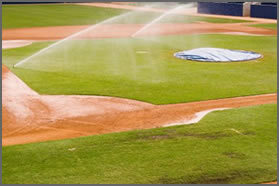 ETP is a custom manufacturer of a variety of rugged outdoor industrial fabric products, which includes tarps for baseball and other athletic fields. Our products are manufactured right here in Mobile Alabama. Call us and let us quote on your project. ETP manufactures baseball covers, full infield tarps, mound covers, batter circle custom covers. Whether your project is large or small, ETP can help you. We offer custom designs with rapid turnaround. A large inventory of materials and a skilled workforce of dedicated employees assures your job to be finished when you need it.